Cloudy skies. Slight chance of a rain shower. High 59F. 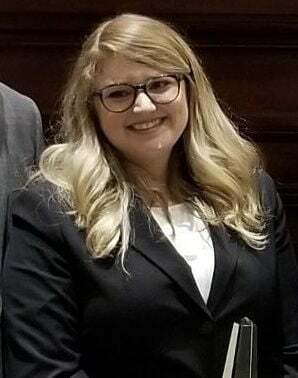 Winds WNW at 15 to 25 mph..
A University of Alabama Hugh F. Culverhouse Jr. School of Law moot court team recently won a national competition in New York, defeating more than 150 other teams and landing UA its first championship in the event's history. The team won preliminary rounds and then defeated William & Mary, South Texas College of Law, Iowa and the defending national champions Northwestern, completing an undefeated run. On the team is Anne Miles Golson of Montgomery, AL. Golson was named the Best Advocate for the tournament. The team is coached by Mary Ksobiech, assistant dean of students.